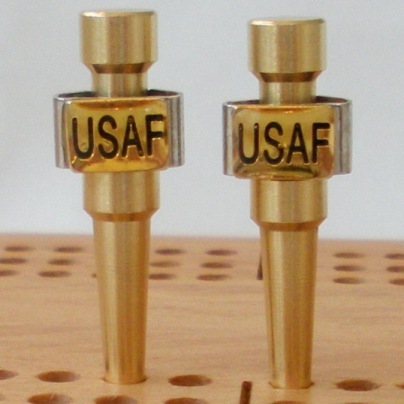 These Beautiful Air Force Cribbage Pegs are available in Stainless Steel and Brass. 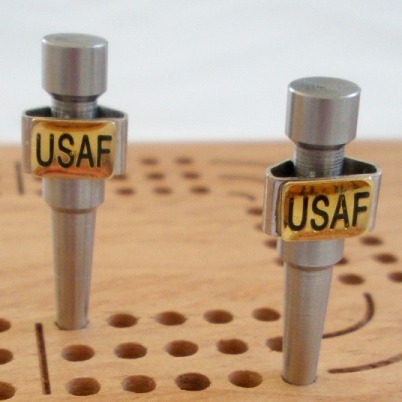 Each set comes with 2 pegs and is tapered to fit all standard 1/8" hole Cribbage Boards. America Playing Cards for a wonderful Patriotic Gift!